The deadline to submit Christmas Greetings for the Gauzeitung is October 15! In order to get the Christmas issue to you by the beginning of December, the greetings must be sent in/reserved by October 15. Even if you can't get the actual greeting to me by then, please let me know what size ad you or your Verein wants, and then take another week to finish it up and email it. You can send a pdf or jpg (high resolution) of a finished ad or words and pictures/graphics for me to finish the ad for you. Ads will be in color. This is open to individuals, Vereine, and businesses. 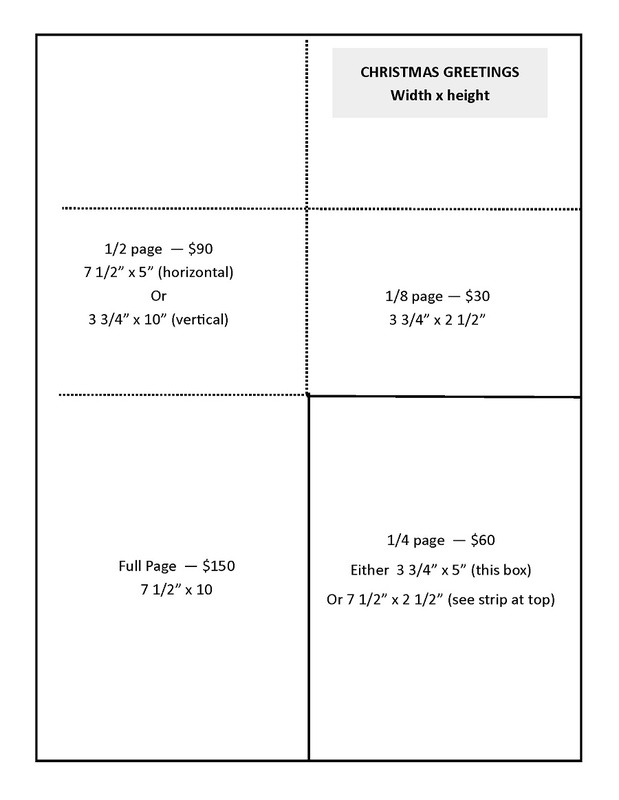 Prices are the same as last year: Business card size $30; quarter page $60; half page $90; full page $150. For finished ad sizes, see chart below by clicking on "read more." You can send your payment right away (would be great!) or wait until I send out bills for subscriptions/ads in January (check to Gauzeitung & send to me). Email can be sent to Gauzeitung@yahoo.com. Articles for the Christmas issue are due by November 1.